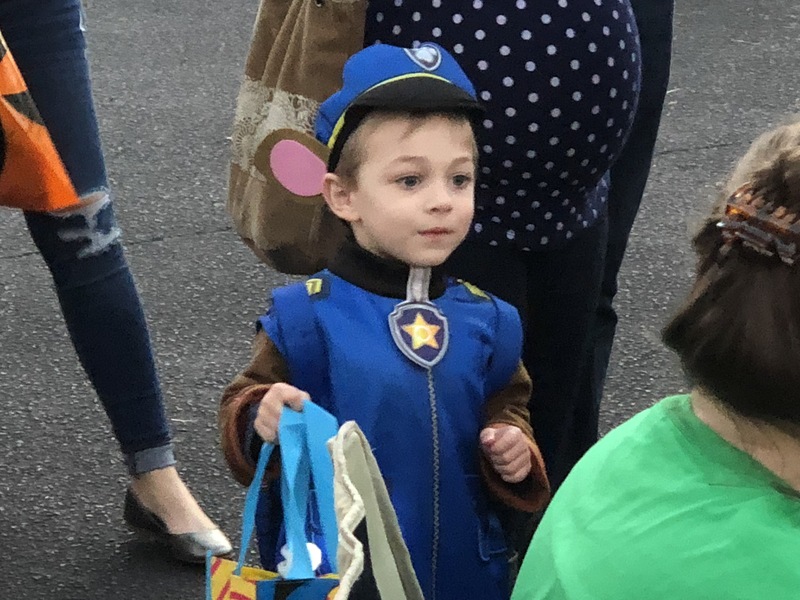 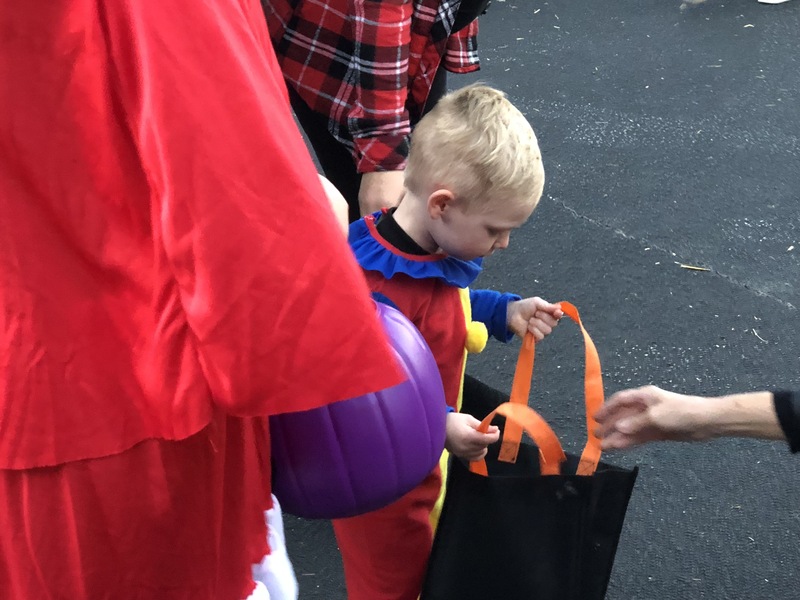 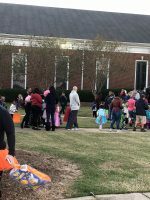 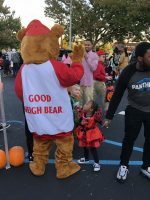 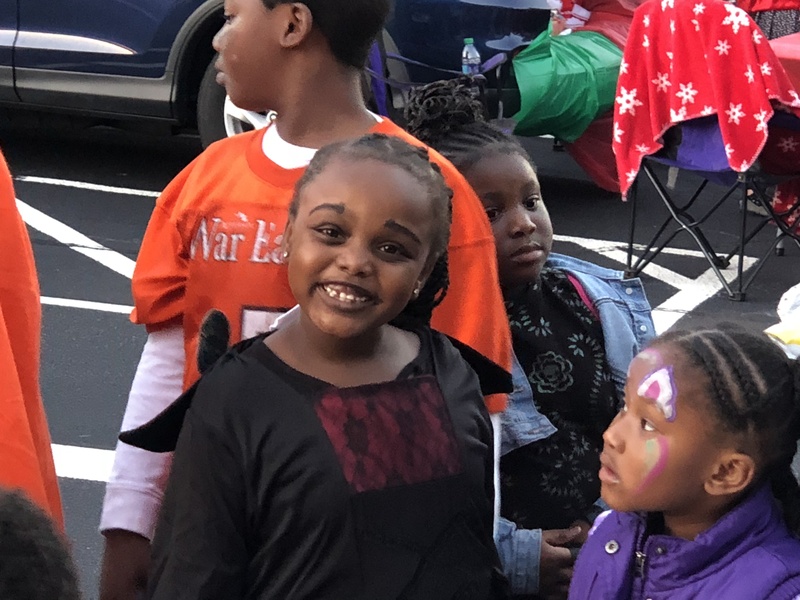 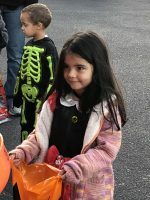 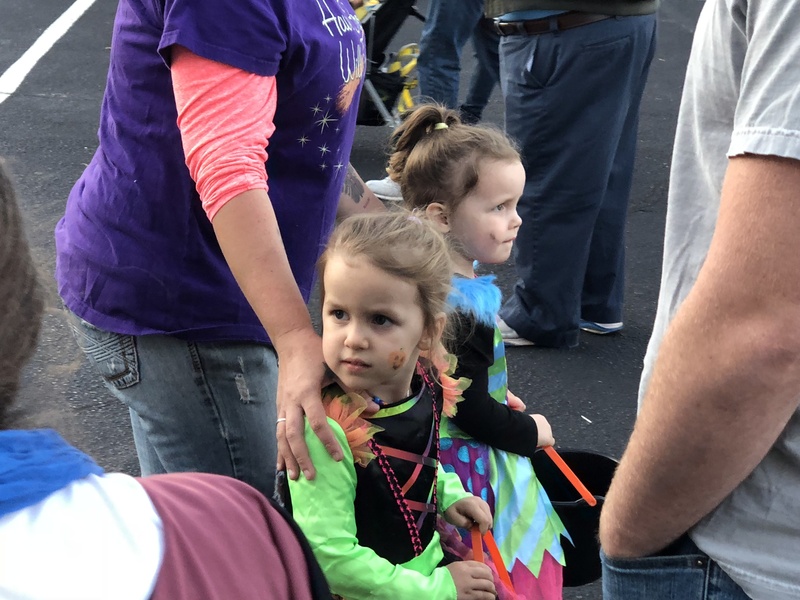 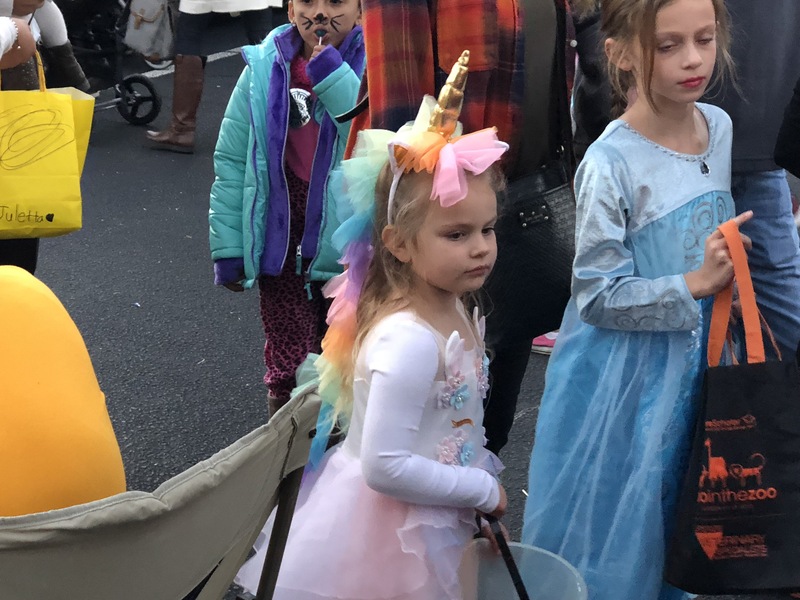 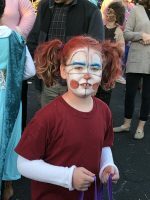 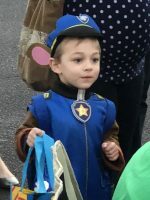 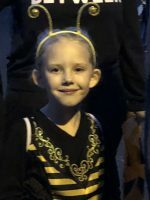 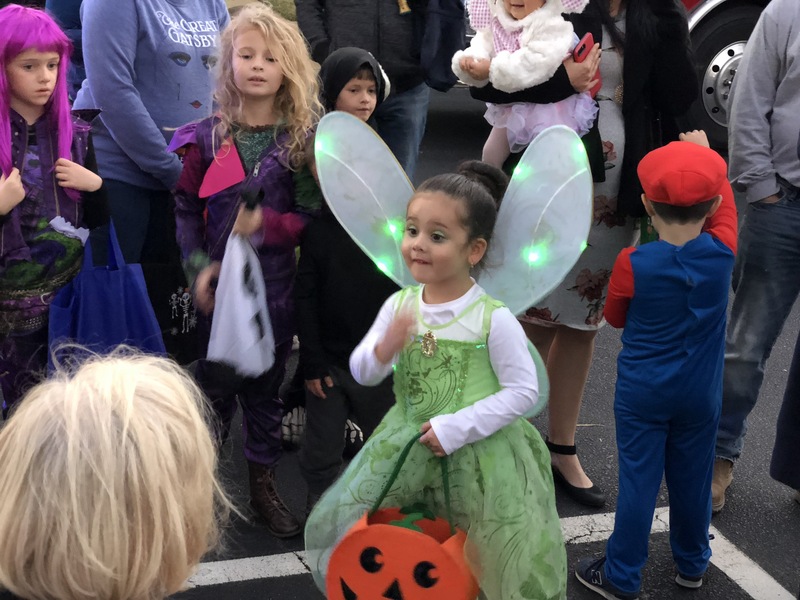 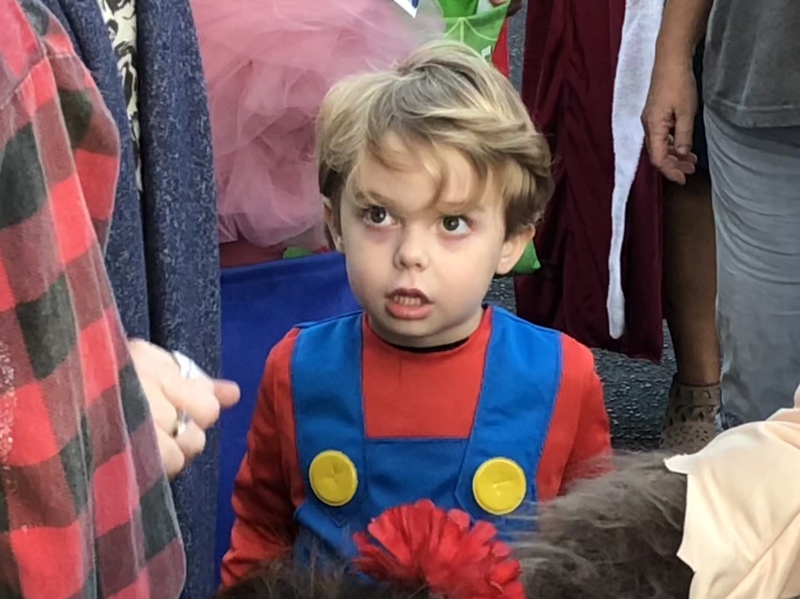 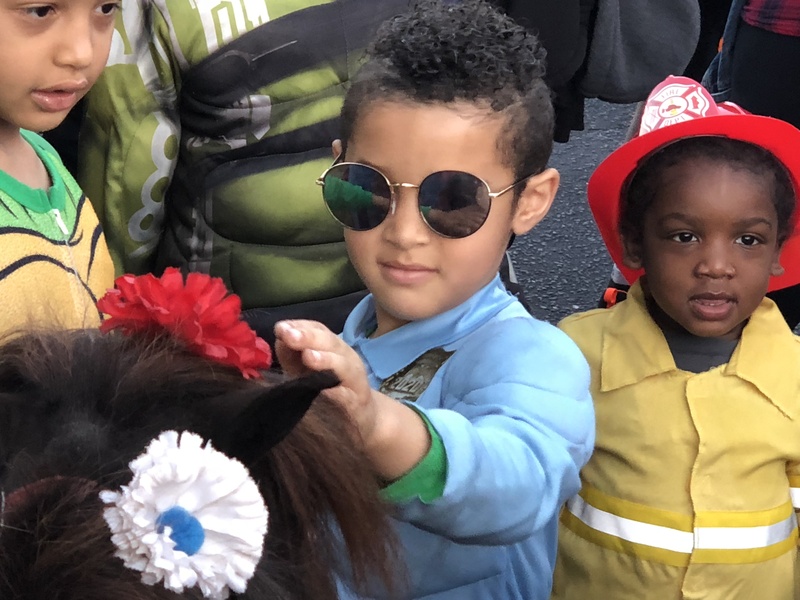 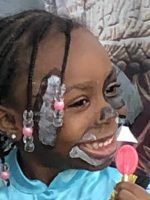 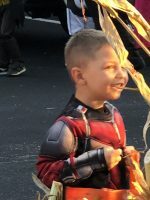 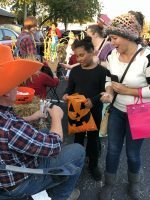 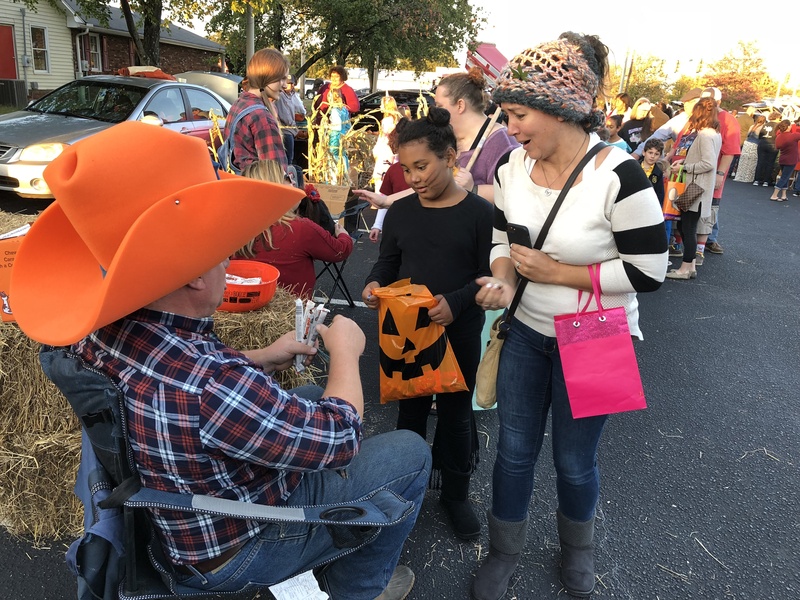 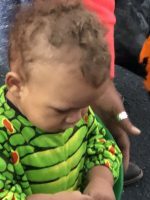 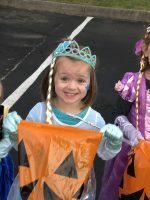 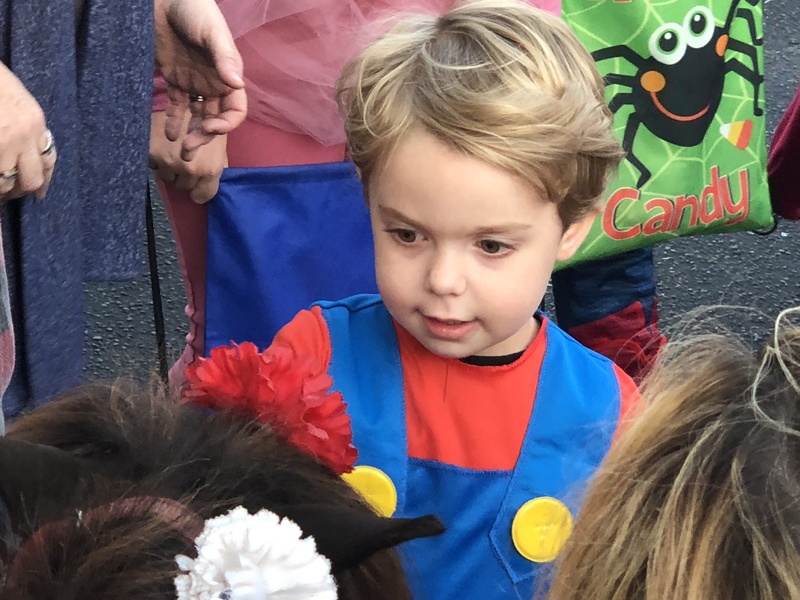 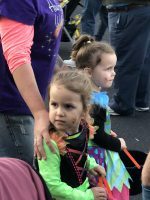 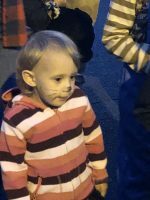 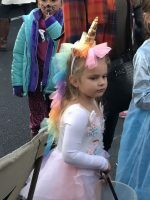 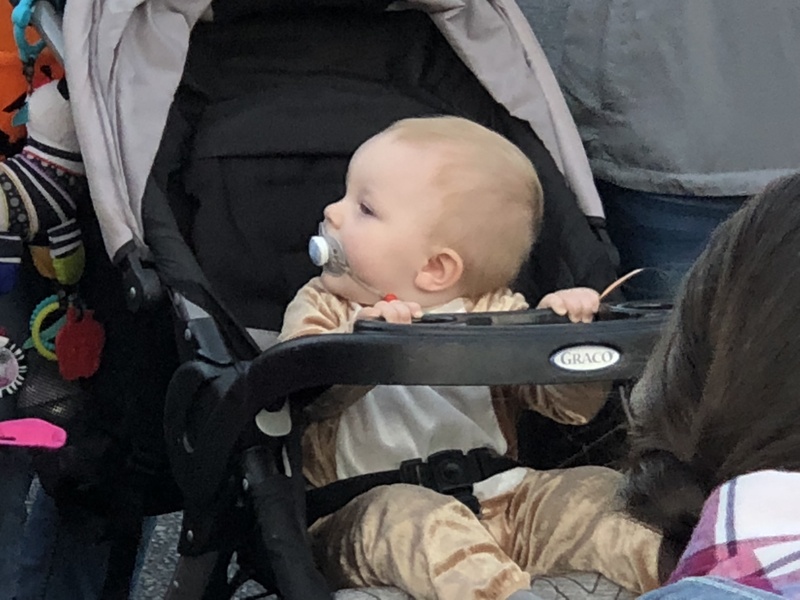 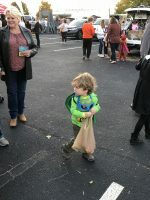 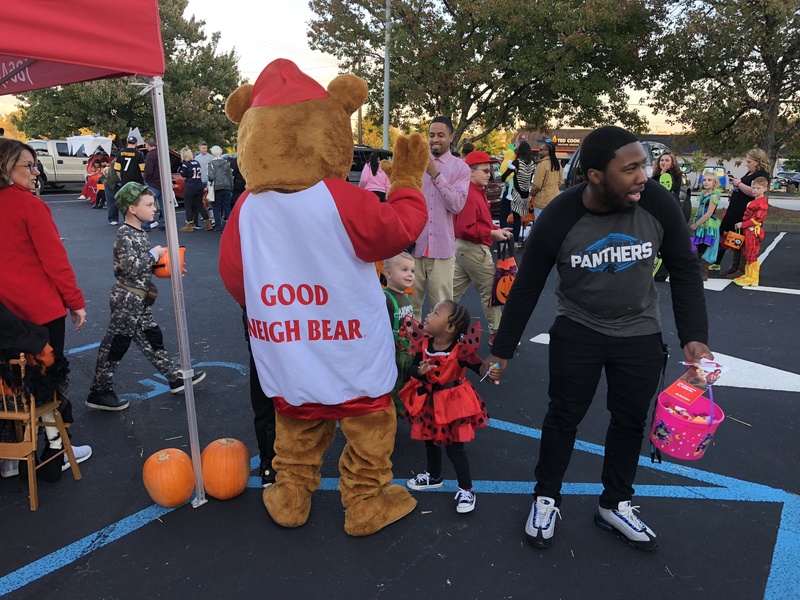 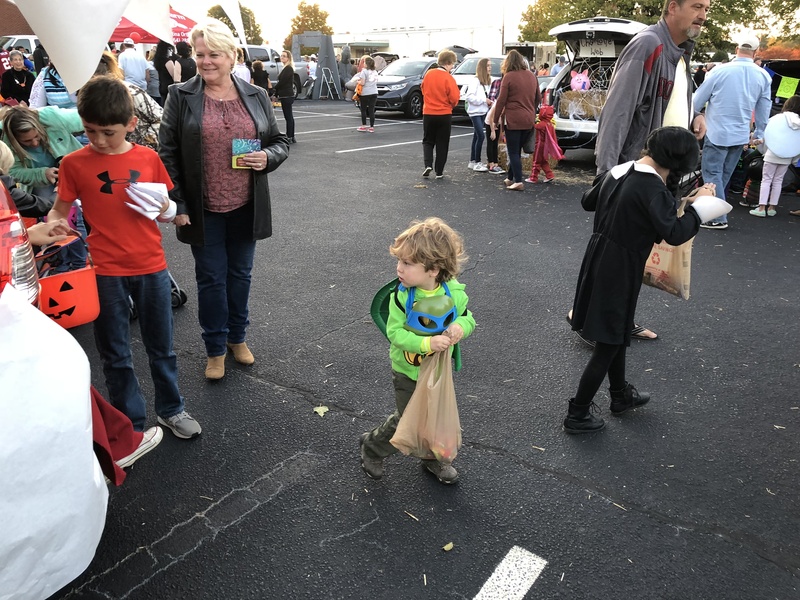 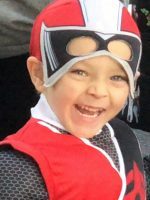 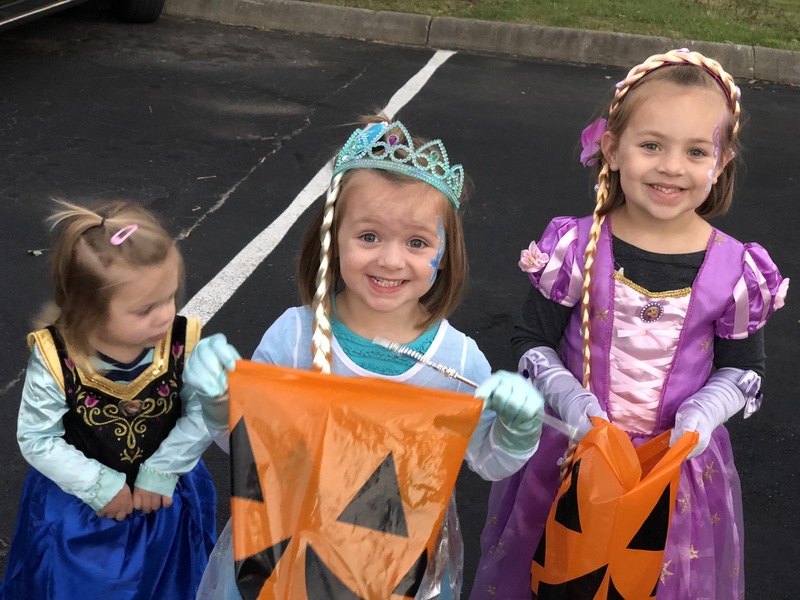 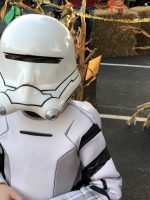 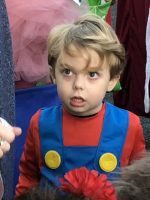 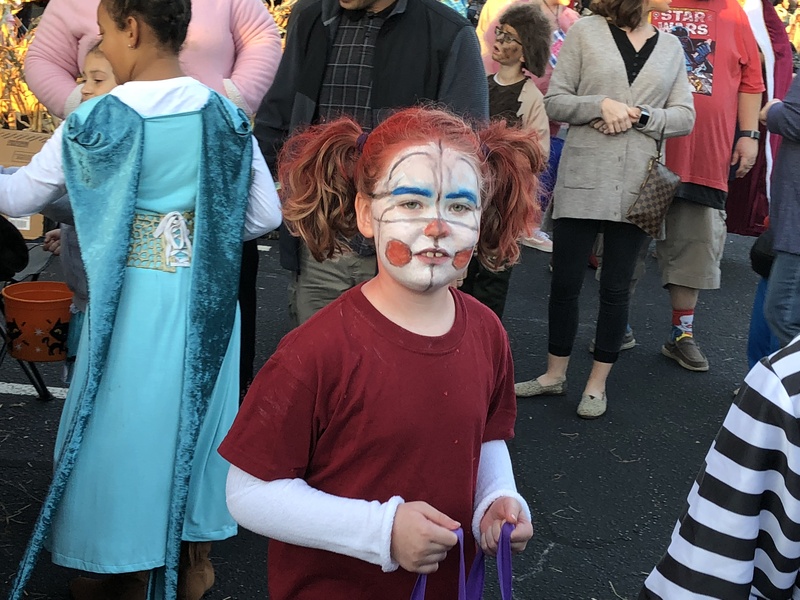 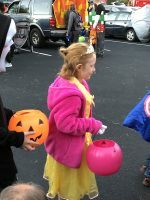 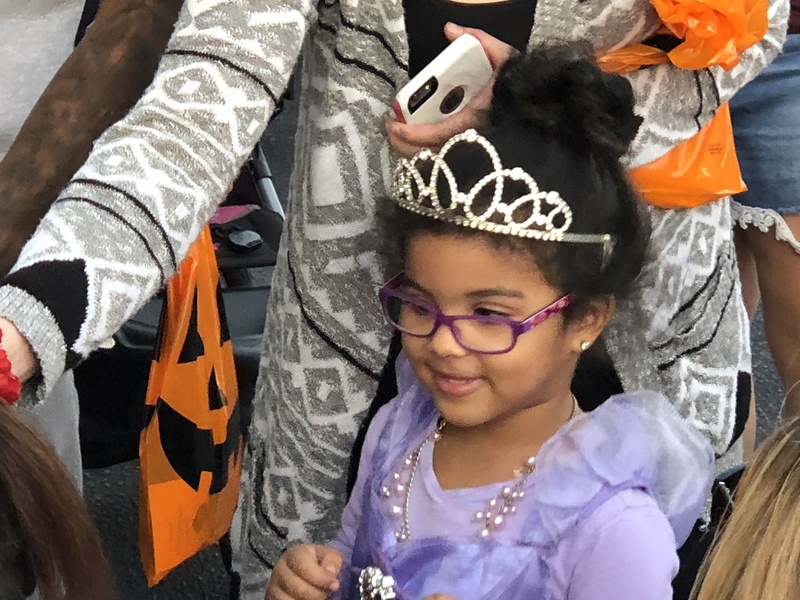 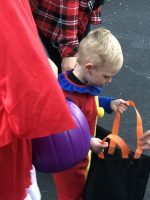 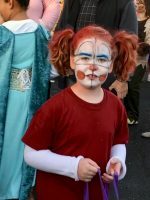 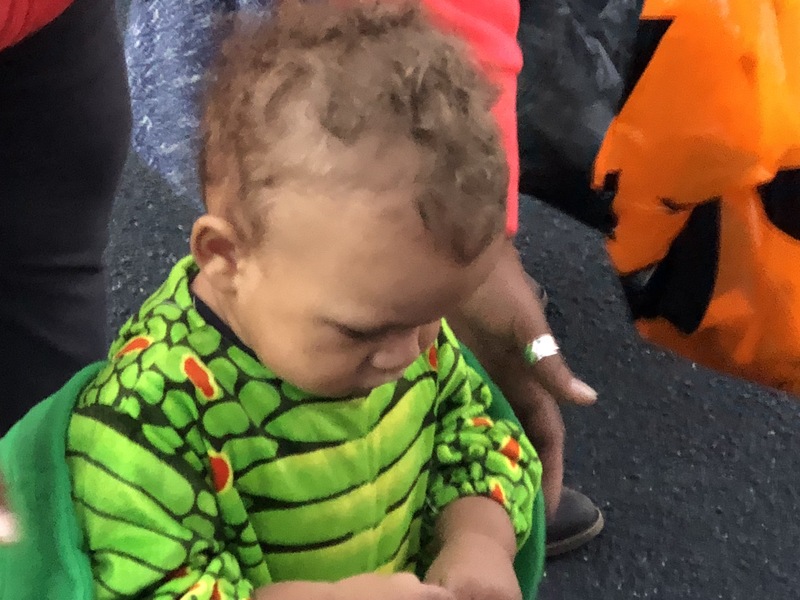 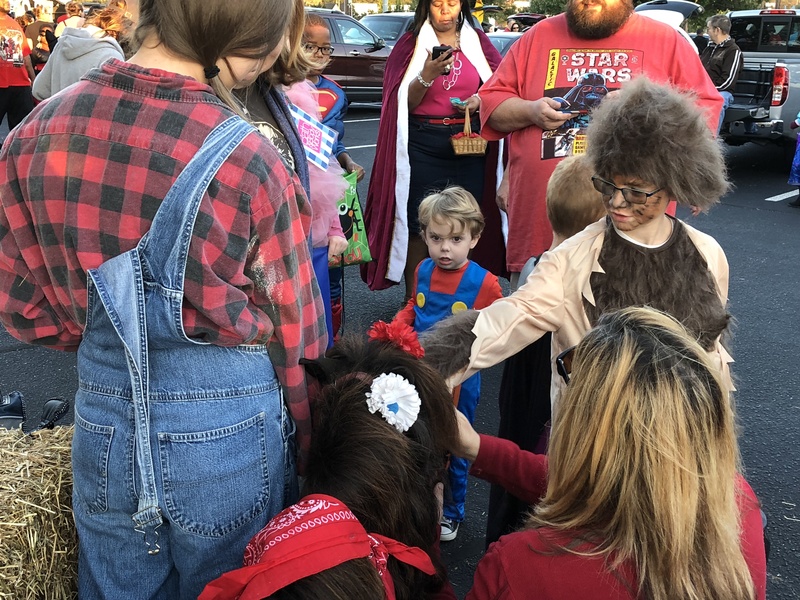 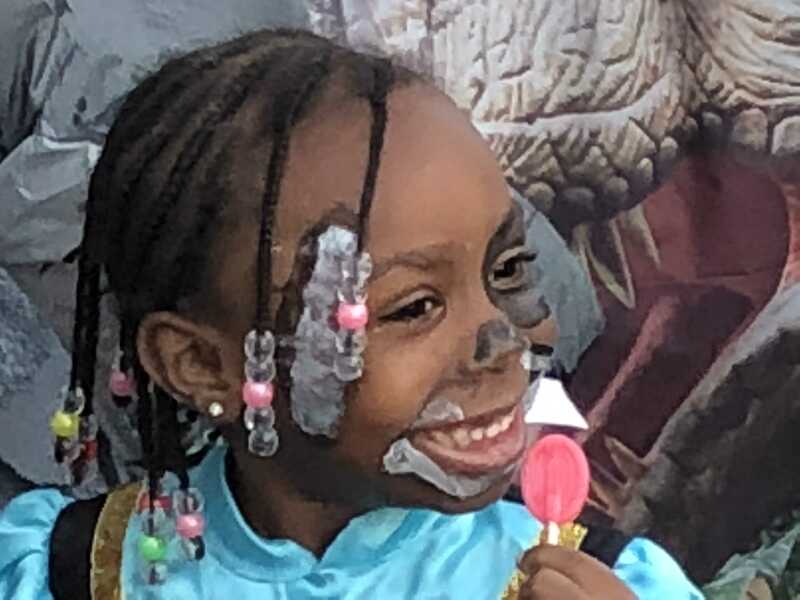 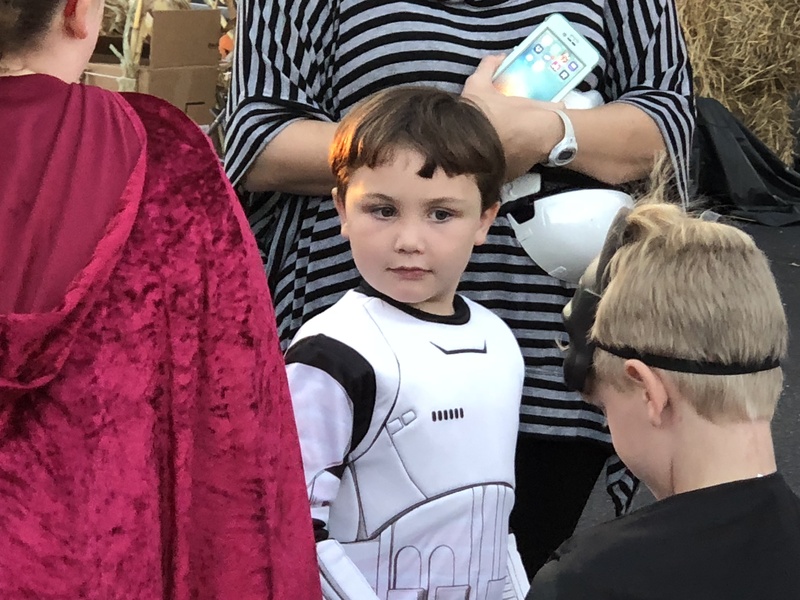 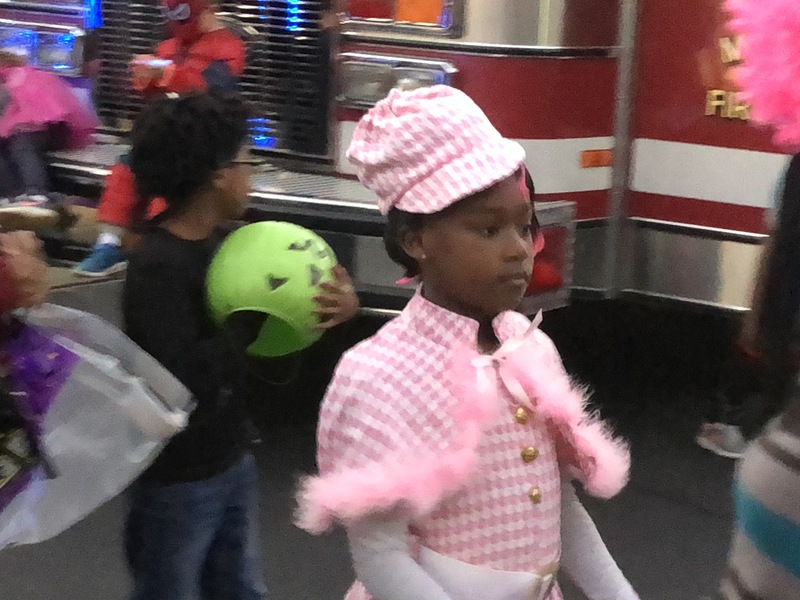 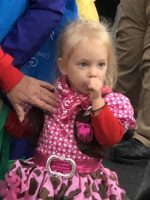 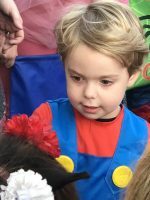 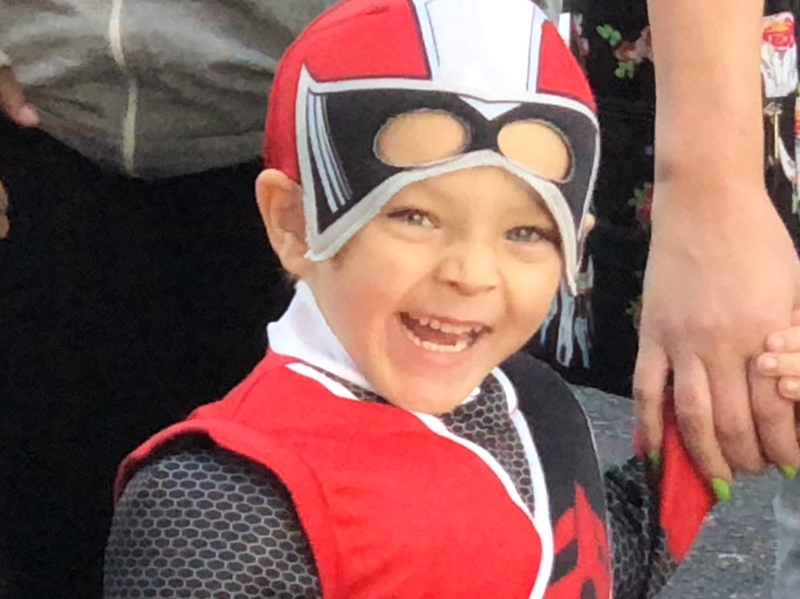 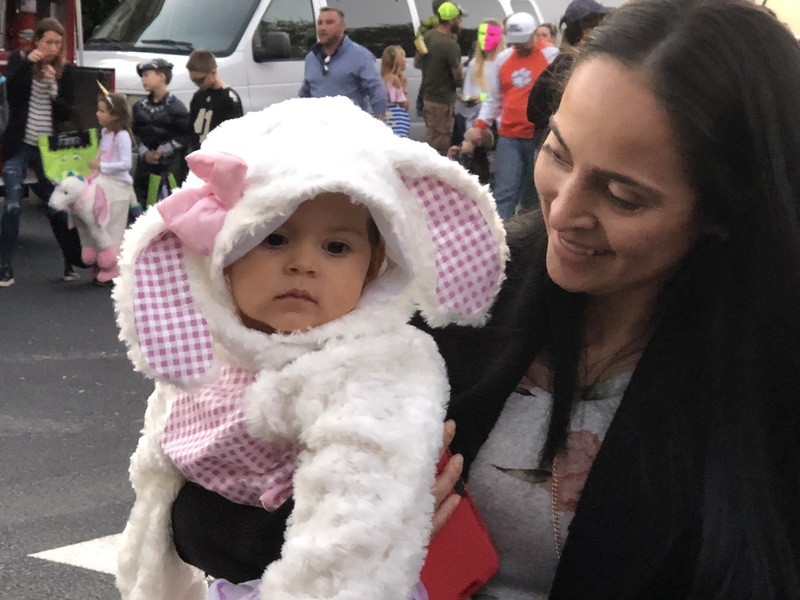 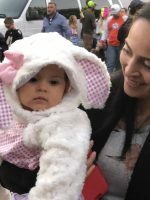 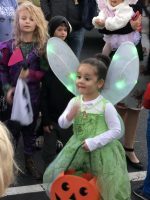 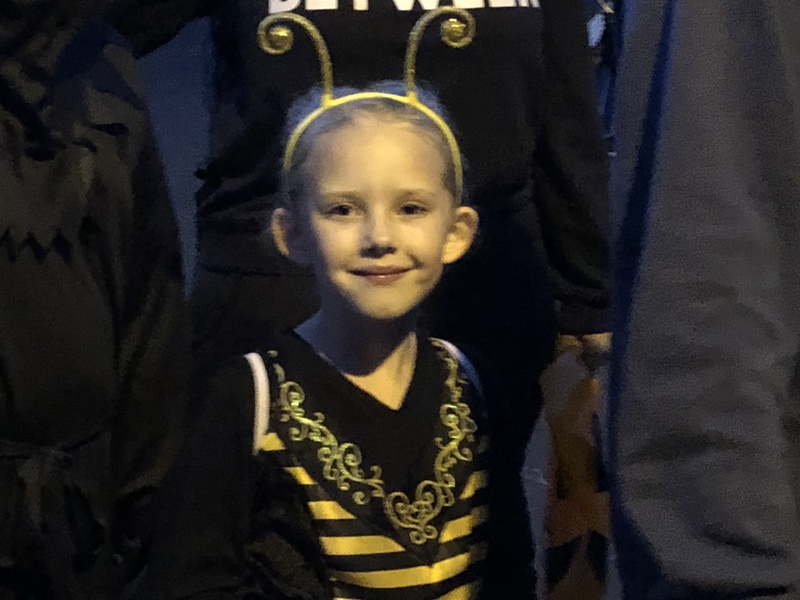 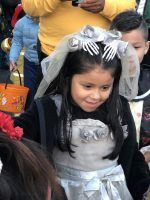 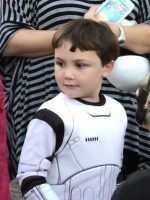 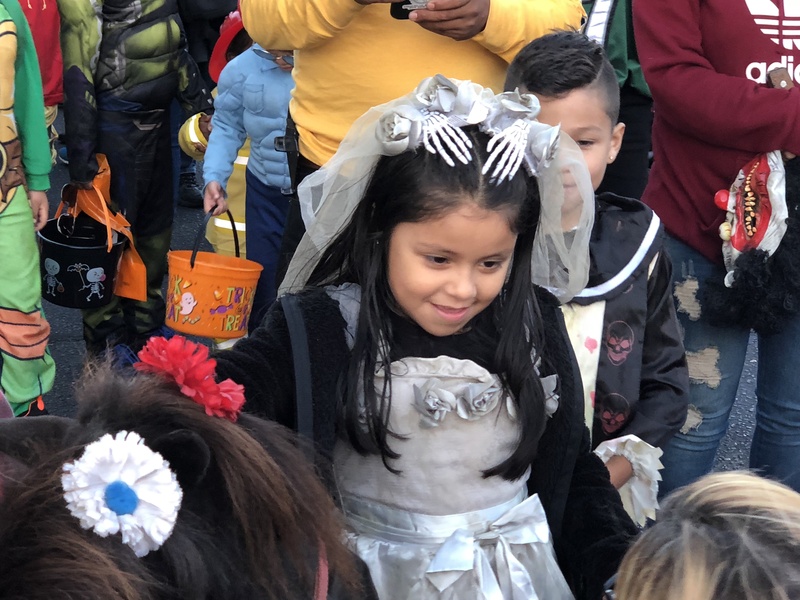 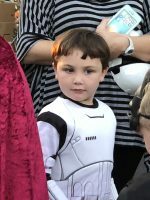 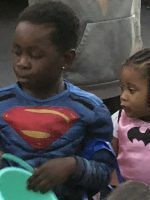 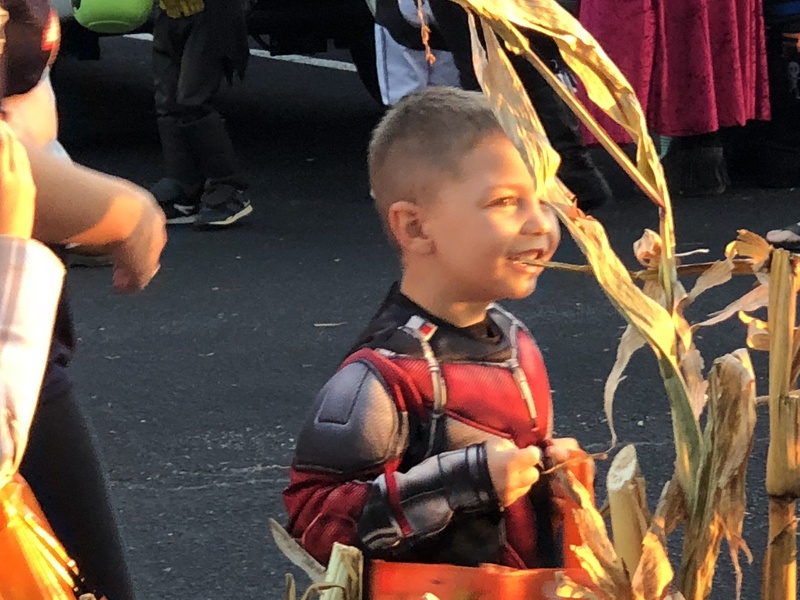 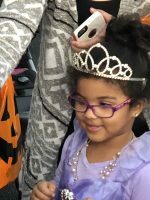 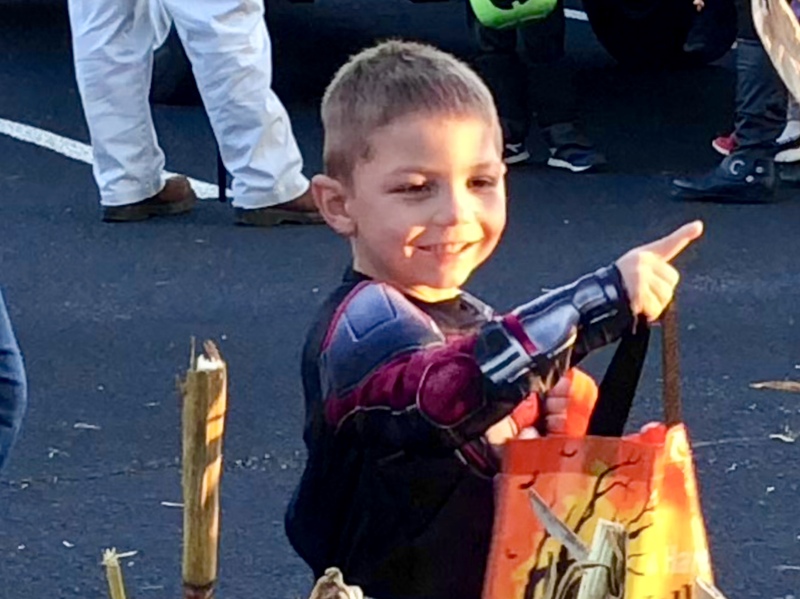 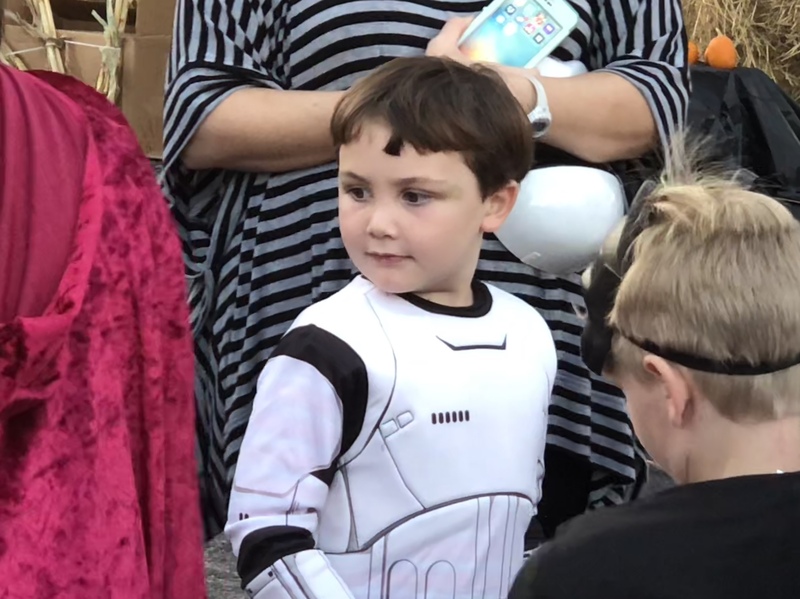 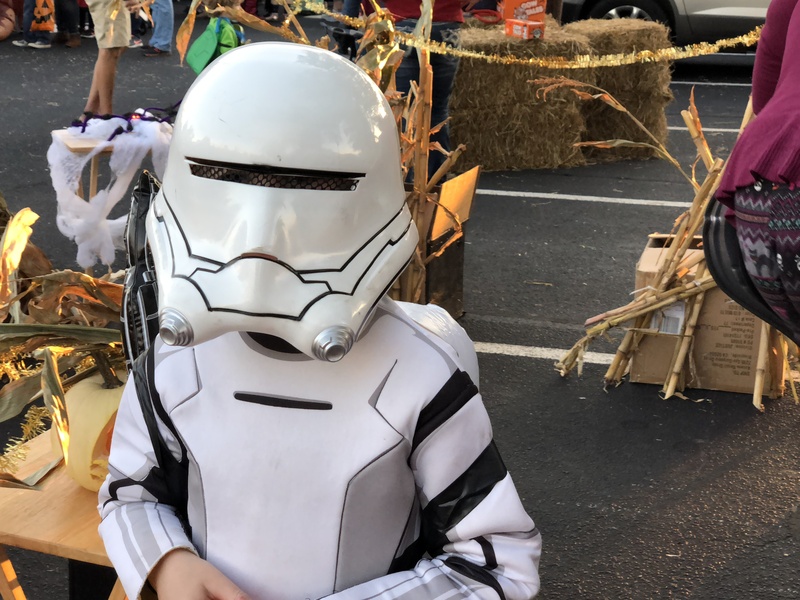 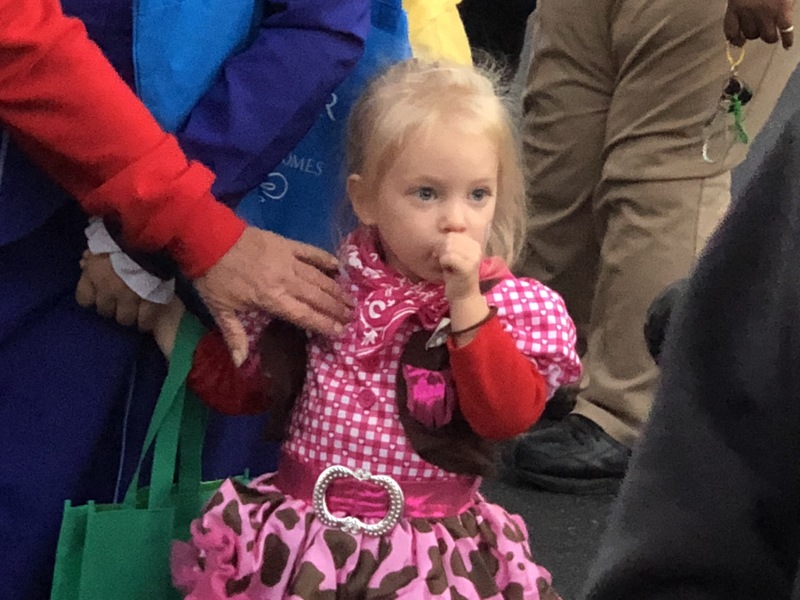 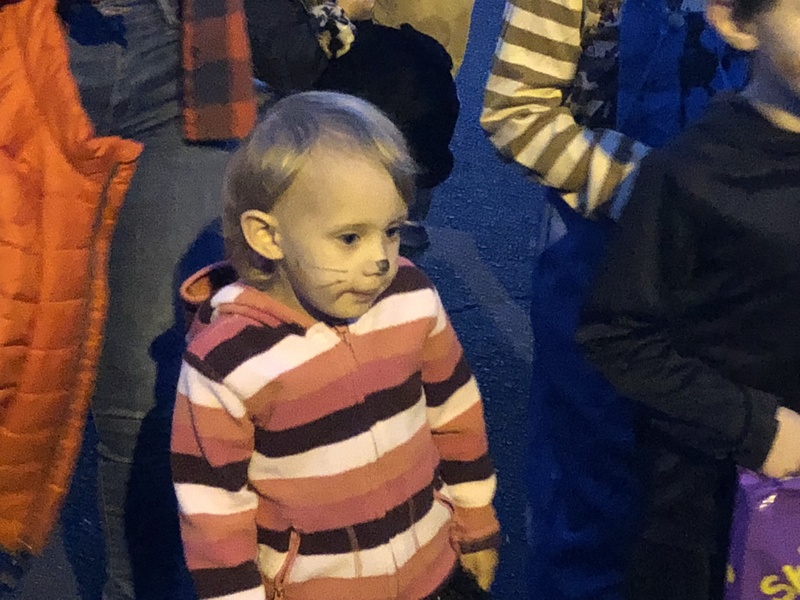 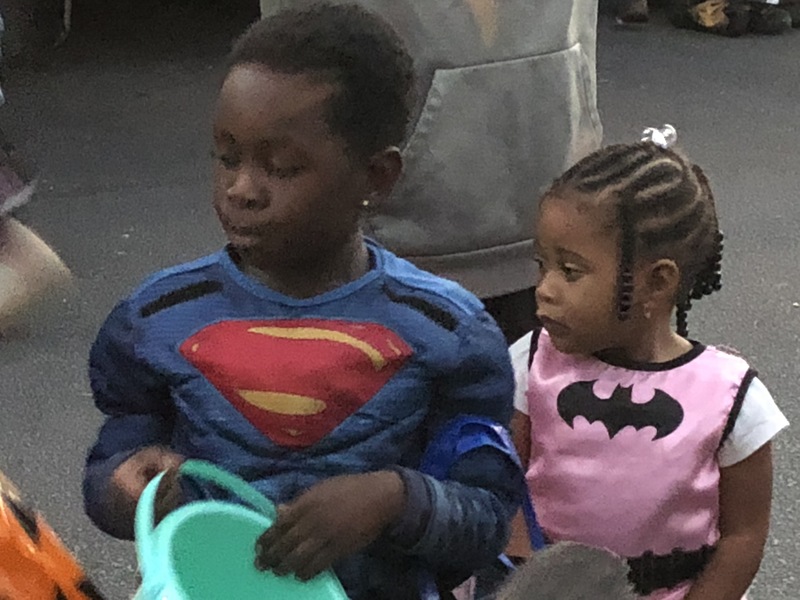 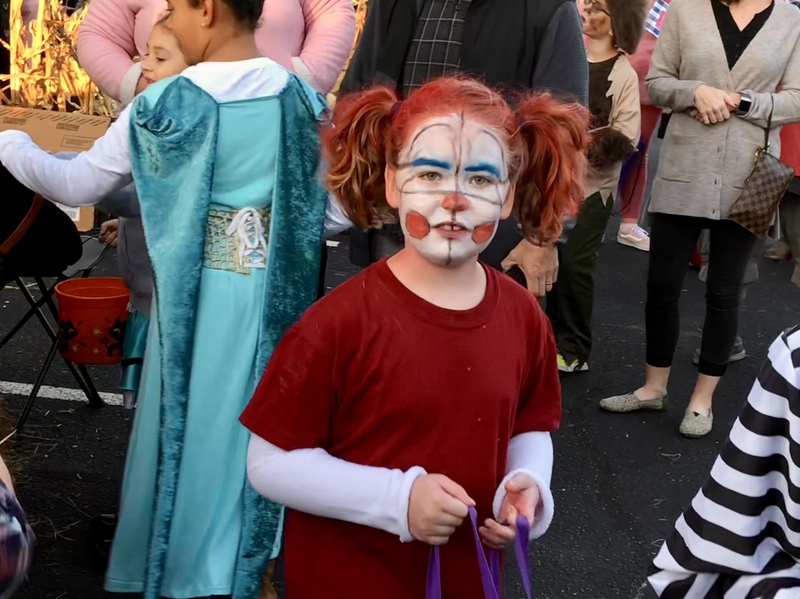 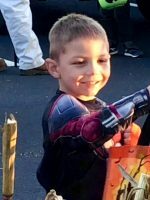 For two hours on October 28, 2018 midst the gathering dusk, the simple parking lot at Mauldin First Baptist Church was transformed into a delightful landscape of play and fun as the church sponsored its annual Trunk or Treat. 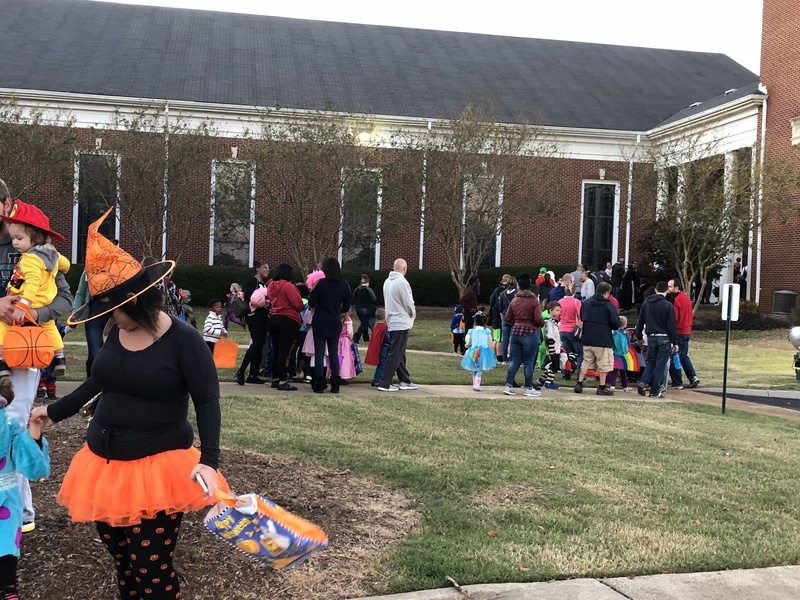 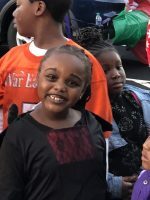 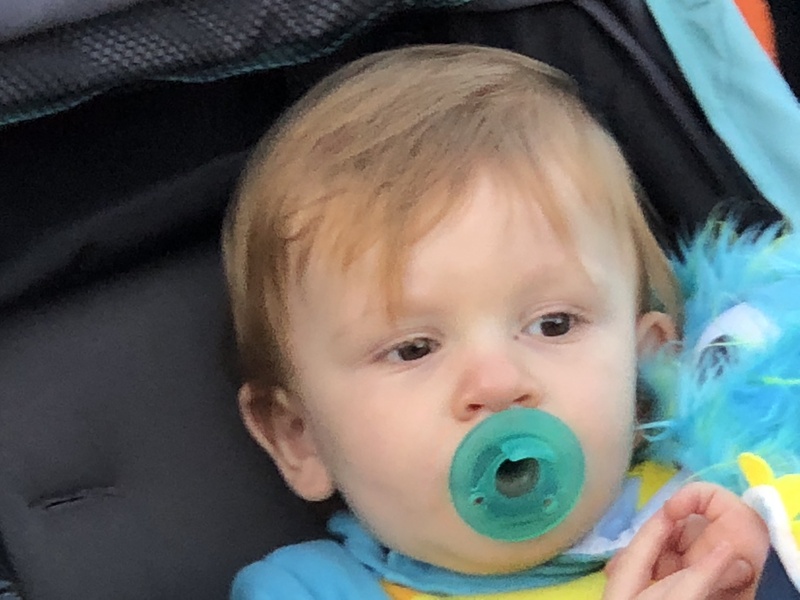 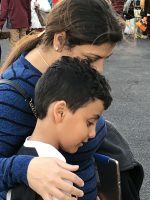 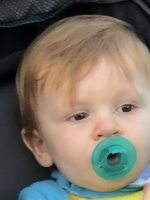 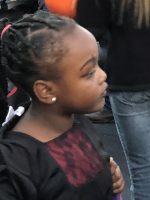 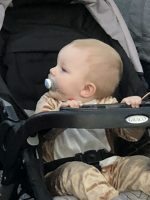 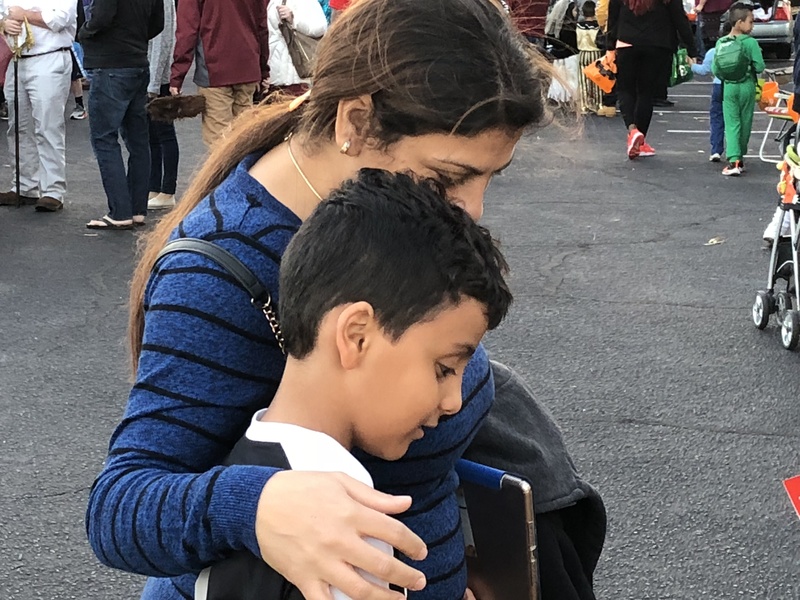 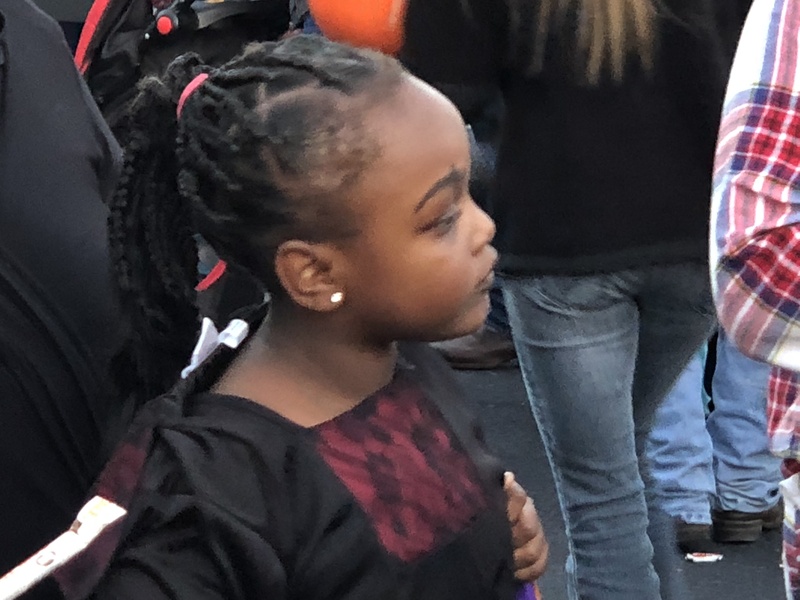 According to Paula Southwell, Children Leader at Mauldin First Baptist, approximately 2500 folks participated in the event, some of them waiting just over an hour in a line that extended far beyond the back of the church. 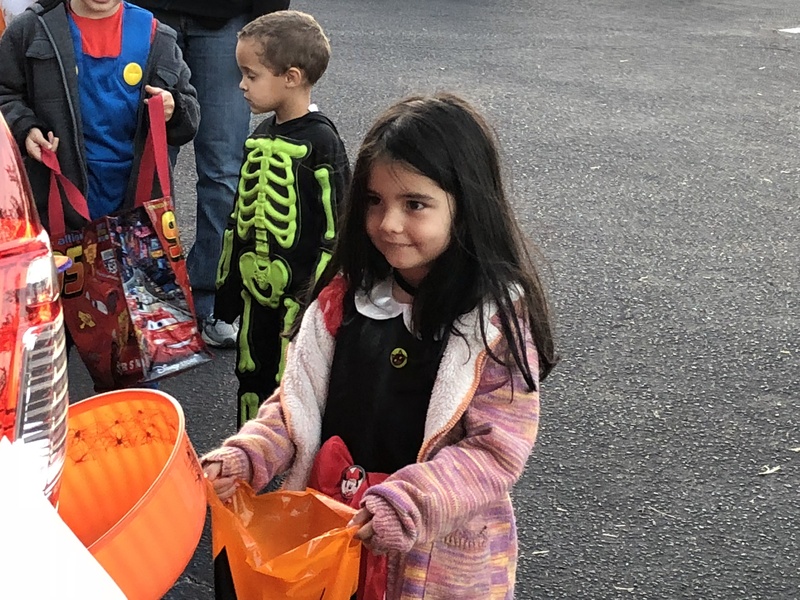 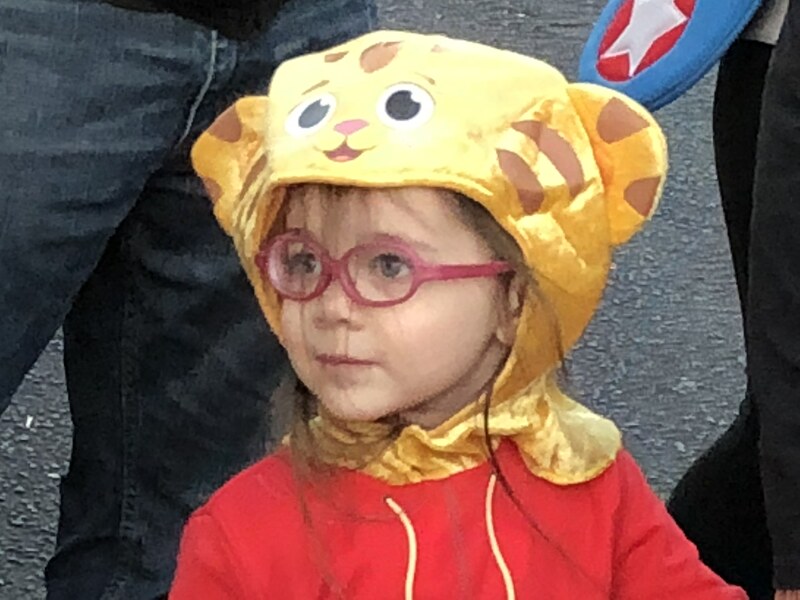 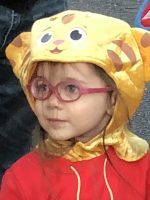 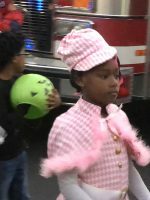 She estimated that volunteers shared around $5000 worth of candy that evening. 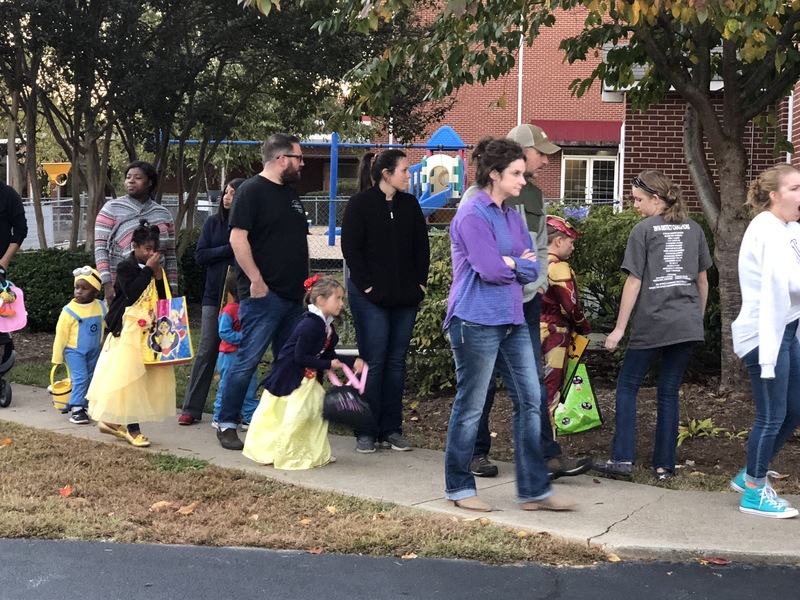 Ms. Southwell estimated that this year, it required one hundred dedicated volunteers to execute Trunk or Treat. 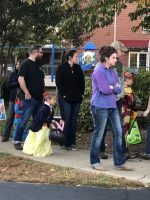 One walk through the line revealed around forty creatively decorated “trunks” where volunteers engaged trick or treaters. 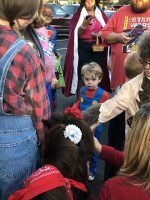 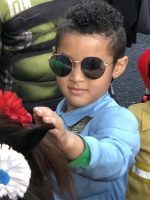 Some of the sites included Jurassic Park, the Flintstones, a firetruck, a construction area complete with dump truck, a State Farm tent, and a pony for petting. 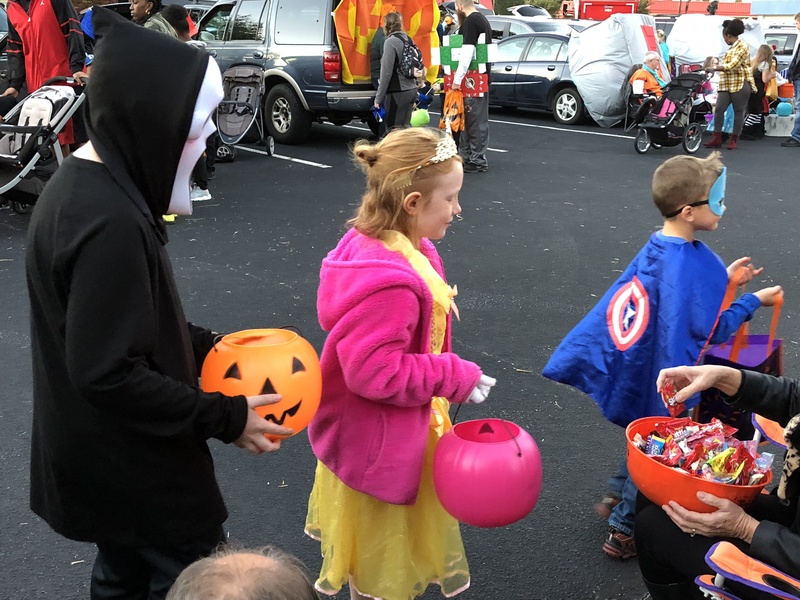 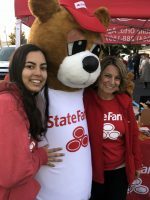 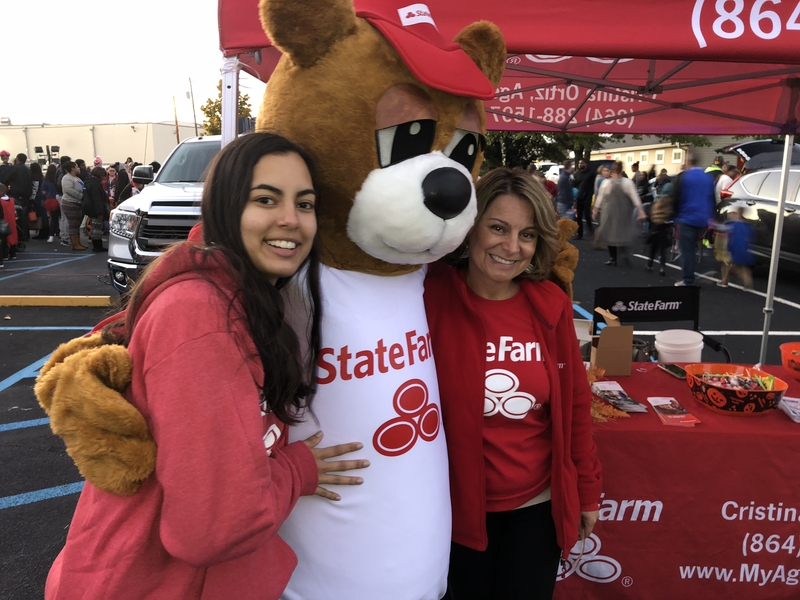 One of the enthusiastic volunteers, Laura Colson, says that each year she looks forward to the annual Trunk or Treat and has so many ideas that she needs more trunks to decorate!